Solopreneurship is understandably tough, but it by no means should rob you of your sanity. As a solopreneur, does it feel like stress has robbed you of your happiness? If so, know now that there's a better way to do things! The life of a “solopreneur” can be immensely satisfying. After all, what could be better than being completely in charge of what you do for a living, as well as which hours you work and where you choose to get things done? The thing is, while going solo can be exciting and invigorating, it isn’t going to protect you from the ups and downs associated with business and personal life. From not generating as much profit as you expected to a messy divorce, there are many things that can bring stress to your life and throw off your entrepreneurial groove. When life gets hectic, your choices are ultimately what determines whether you’ll sink or swim. Here are a few ways you can find peace of mind so that you can keep your fledgling business on track. While outsourcing may feel like you’re giving up control of your “solo” venture, it’s often a necessary step if you wish to avoid burning yourself out. You only have so many hours in the day. If you try to handle everything on your own, you’ll likely find you simply don’t have enough time to provide quality service to your clients while also managing the small details that keep your business going. 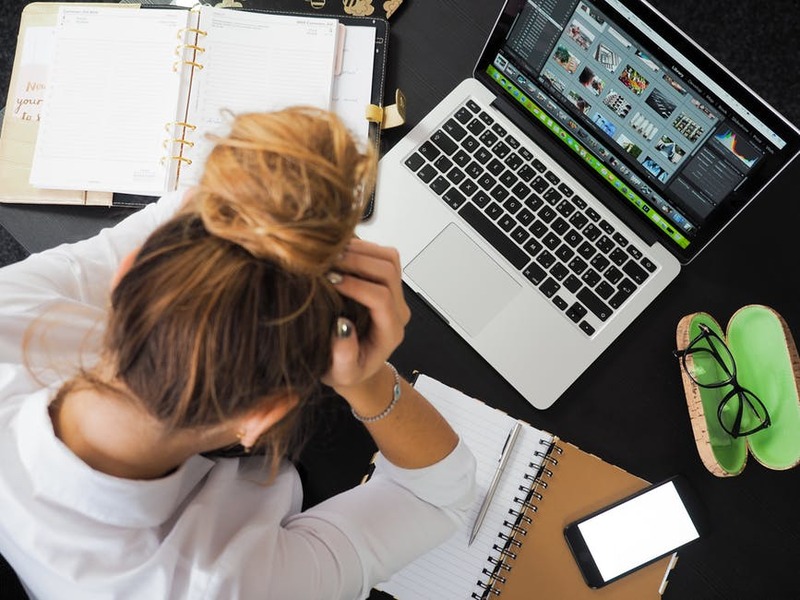 If your workload is starting to feel overwhelming, delegating certain tasks to a virtual assistant or using automation tools can help you regain control of your day. This way, you can spend more time focused on the things that truly matter. No, this doesn’t mean you should bring work home with you. To reduce the stress of attracting and retaining clients, one of the best things you can do is to set up a system that allows you to make sales even when you’re not thinking about your work. A quality landing page, for example, is always active. Regardless of whether you’re in the office or not, your landing page can deliver your sales message and capture contact information from interested leads. In a sense, this automates part of the sales process by helping you find quality leads without the need for cold calls or other less effective methods. Sometimes, the most basic practices can have the biggest impact. According to the Anxiety and Depression Association of America, as little as five minutes of aerobic exercise can help relieve anxiety. Individuals who regularly exercise typically sleep better, have higher self-esteem and better moods and experience reduced tension. When confronting a stressful situation in your solo career, sticking with a healthy exercise routine can help you maintain perspective and avoid mental burnout. It can be easy to get caught up in the minor setbacks that pop up on a daily basis for any business, like a client who cancelled their contract or a meeting that didn’t seem to get anything done. Don’t let these problems distract you from your main goal. What do you hope to accomplish with your business? Why did you become a solopreneur in the first place? Taking a moment to consider the big picture can help you put smaller issues in perspective and focus on the positive motivating factors that helped you start your entrepreneurial journey in the first place. If you’re feeling overwhelmed by your work schedule, one of the best things you can do is step away for a moment. It’s okay to take a night off to do something fun. In fact, taking the time to reconnect with family or friends could ultimately be the best thing you can do to stay afloat during hectic entrepreneurial moments. This is especially vital for solopreneurs, as working alone can often result in unhealthy feelings of isolation. Cultivating the relationships that matter most builds a support network that will improve your happiness and overall health. The right relationships can help you get through any challenge. Financial challenges are one of the most common problems for a solopreneur — in fact, approximately 65 percent of Millennials report feeling stressed about their financial situation. If you don’t have a plan in place for dealing with ups and downs of running your own business, that stress can quickly become overwhelming. Take control now by re-evaluating your financial situation. Contribute to a retirement plan and find ways to cut costs so you can save more money each month. The more you prepare financially, the less likely it is that an unexpected setback will completely derail your entrepreneurial dreams. Hectic times are a given in the life of any solopreneur. But as you adopt the right mindset and take the necessary actions to achieve peace of mind, you’ll be better positioned to power through the tough times. By maintaining a proper focus, you’ll be able to pass through the challenges you’re currently facing and move forward to bigger and better things.